I’m an early-stage investor at RRE Ventures. I was raised in California by artists-turned-entrepreneurs but feel very much at home in New York. Working at RRE gives you a unique view of today's NY tech scene. In your opinion, what is the top startup (or two) to watch for 2011? In 2011, watch for the emergence of some incredible mobile applications, particularly for smart phones and tablets, that will become indispensable to how you communicate with friends, how you interact with the world, and how you pay for things. New messaging services like Kik will make you wonder how you ever relied on SMS. Augmented reality applications will start to become useful instead of just novel. And start-ups like Venmo and Payfone will move us closer to wallet-free shopping. But since you asked for the top New York start-up to watch in 2011, I’d have to say Quirky. They are enabling anyone with a product idea to bring it into the world. It’s a simple concept, but there’s an incredible amount of sophistication behind the scenes at this company. It helps that they have one of the most creative and capable teams in New York. They will make waves in 2011. Keep a close eye on them. We saw that you are a fan of Mad Men. Which character on Mad Men do you feel as if you relate to the most and why? Oh yes. The writing, the acting, the sets. New York in the 1960s. Smoking in your office. What’s not to love? It’s also a reminder of how corporate America struggles to adapt. In the 60s it was cultural, but we’re seeing the same thing now with technology. And once again it’s largely a New York story. The publishing, media, and financial services industries are all good examples of sectors that should be embracing change, but are hesitant or resistant and risk being disrupted. Which character do I relate to most? I don’t want to give a surface answer just because everyone tells me I’m a dead ringer for Don Draper. All I’ll say is that I can certainly relate to being in an profession that is relationship driven, creative, and values skinny ties. Back in November Fred Wilson hinted that a second potential tech bubble was looming. Do you feel as if that's the case? If not, would you be interested in investing in our awesome location-based check-in app that gives out cash as a reward instead of badges? Thanks in large part to Facebook’s success and the appearance of many more seed-stage investors (read: bidders), valuations of certain early-stage consumer companies are clearly getting out of hand. There simply aren’t enough acquirers at the implied exit price expectations, and the bar for IPOs remains justifiably high. So at some point valuations will return to earth, perhaps triggered by a high profile down round in 2011. But it will be nothing like the dot-com crash of 2000, which was a sudden public markets reversal that erased over a trillion dollars in market cap and put a huge damper on the venture market. What we’re experiencing now is narrower and more benign: overvalued consumer start-ups in private markets. This means a correction would occur more gradually as new companies are formed and existing ones try to raise new money. So why all the hype if no imminent disaster is looming for the market as a whole? I think it’s largely because the investors who are heavily exposed to the early-stage consumer sector also happen to wield a disproportionate share of influence in the Twitter/Quora/blog echo-chamber (parodies of which are quite amusing). But the real question is, who should care? The conventional wisdom is that this bubble is bad for investors and great for entrepreneurs who get higher ownership stakes. I actually think the opposite is true. Entrepreneurs should be just as cautious – if not more so – than investors about raising money at extravagant valuations. RRE’s Eric Wiesen and Stuart Ellman do a great job of explaining why here. In a nutshell, setting the bar too high makes it more difficult to raise money in subsequent rounds or sell the business. There’s simply no room for mistakes or time to pivot, and that’s almost never the path successful start-ups take (read Randy Komisar’s Plan B). Diversified venture investors, on the other hand, will do fine on the basis of their home runs, their investments in sectors with more reasonable valuations, and by being patient. Having said that, I’m thinking $85M pre for your idea. Call me. You went to school in California (Berkeley) and Boston (Harvard) and now work in New York City. What are some of your favorite things to do in Berkeley, Harvard, and NYC that are unique to each place? Berkeley: Start the day by taking a few cheap shots at Stanford over breakfast at Caffee Strada, probably about their ridiculous tree "mascot." 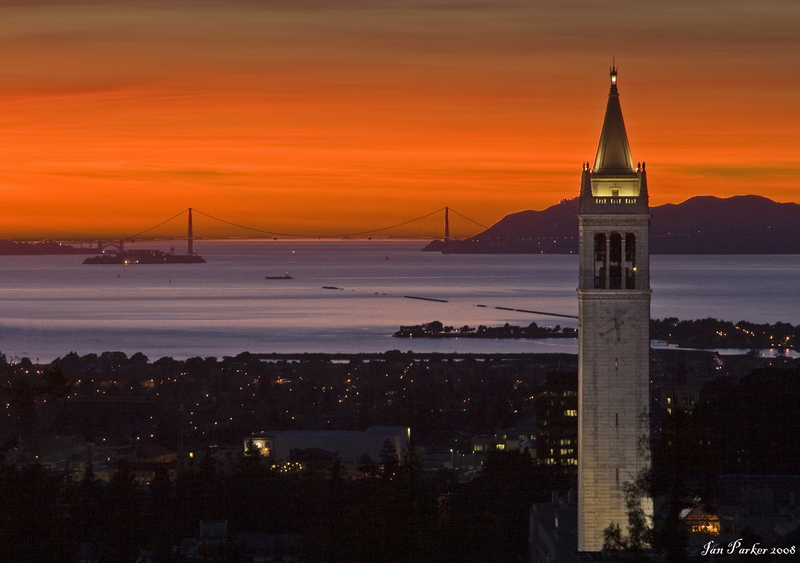 Tour the Berkeley campus, take in the view from the top of the campanile, and try to ignore looking directly at the architecture school building. Lunch at Zachery’s. Take the BART to San Francisco. Relax in the SOMA’s rooftop sculpture garden with coffee from Blue Bottle. Watch a Giants game in one of the most beautiful baseball stadiums in the country. Quick side trip to Silicon Valley to invest in next big thing. Back to Berkeley in time for dinner at Chez Panisse. Wash down $200 dinner with $2 Top Dog. Boston: Start with breakfast of turkey hash at Charlie’s Sandwich Shoppe in the South End. Spend the morning scouring one of the greatest collections of vintage watches, suits, and spectacles at Bobby’s. Work up an appetite with a walk through the Boston Common and over into Cambridge. Get lunch from Ayr Muir’s awesome Clover Food Truck. Tour the nearby MIT Media Lab and sit in on a lecture (any will do). Head to Harvard Square. Walk through Harvard Yard and pay homage to Zuck’s dorm room with a status update on Twitter and check-in on Foursquare. Pit stop for hot chocolate at Burdick’s on a cold day or ice cream from JP Licks on a warm one. Rent a Zipcar and drive back into Boston for dinner at O Ya or Neptune Oyster Bar. Finish the night off at The Beehive. New York: It’s a slow town, so I spend most of my time at the office.